Austin, TX – Complete Controller, the nation’s leader in virtual accounting services is announcing the opening of their new satellite office in Austin, Texas. Complete Controller has virtually revolutionized the system of accounting, bookkeeping and controller services. With innovative concepts and state-of-the-art technology, Complete Controller provides its clients with a full range of day-to-day accounting, bookkeeping and controller services. Complete Controller’s services include bookkeeping, vendor management and bill payment, payroll setup and management, paperless document management and record keeping, efficiency and quality control methods, complete custom reporting, and cash flow and debt reduction strategies. Complete Controller differentiates itself from other accounting services by hosting the robust desktop version of QuickBooks accounting software and a Paperless Filing Cabinet for their clients, allowing them to have secure, on-demand access to their accounts and records. This combination of technology and expertise is what makes Complete Controller the national leader in virtual accounting. Complete Controller provides accounting services for businesses and family offices of all sizes varying the amount and nature of accounting support according to the client’s needs and pricing the service so their expertise is made affordable to clients who otherwise would not have the means. Complete Controller provides its clients with a dedicated controller, bookkeeper, and CPA to enable their business to grow and succeed. The company prides itself on being totally transparent with its service and product costs openly displayed and shared on its website, completecontroller.projectdevelopment.co. 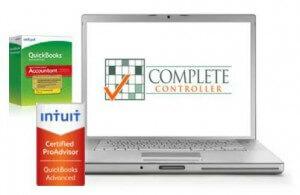 Complete Controller has designed methods for quality control and oversight that ensure the books are accurate so Tax Accountants and Auditors can focus on their desired purpose rather than wading through inaccurate financial data and spending hours identifying adjustments and re-classing data. This model saves the client and the accountant time and money while providing the client with clean books throughout the year. In addition, Complete Controller provides cost analysis, cash management, budgeting, process streamlining, and more – all to help clients become better decisions makers and stay connected to their accounting. “Our goal is to unburden our client’s financial tasks and record keeping functions so that their staff can focus on their core business activities. Our clients constantly measure the success of their business decisions with the use of our customizable report packages,” Ms. Brazer states. Complete Controller’s corporate headquarters is located in Costa Mesa, California and in addition to its new Austin, Texas office; Complete Controller has satellite offices in Atlanta, Georgia, Denver, Colorado and Seattle, Washington. Complete Controller has been providing virtual complete business accounting services since 2007. The company’s secure technology provides an accessible accounting desktop to their clients where the books are kept and supporting documents stored. Complete Controller then provides each client with a bookkeeper, controller, and CPA to perform work and offer support as is necessary. This marriage of technology and expertise is what has made Complete Controller the national leader in virtual accounting. Complete Controller has been an accredited business with the Better Business Bureau since 2010. Contact us for a free consultation today.